The PHP Laravel framework is packaged with the Eloquent Object Relational Mapper (ORM), which provides an extremely easy way to communicate with a database. As developers need to create complex websites and other applications, they prefer a hassle-free and shorter development time. Laravel helps make development faster and provides an adequate solution to most problems encountered. Varying business requirements are addressed with faster development, as well as well-organized, reusable, maintainable and scalable code. It works with custom web applications as it can cater to multiple databases and perform common database operations. Developers can work in Eloquent with multiple databases efficiently using an ActiveMethod implementation. It is an architectural pattern where the model created in the Model-View-Controller (MVC) structure corresponds to a table in the database. The advantage is for models to perform common database operations without coding lengthy SQL queries. 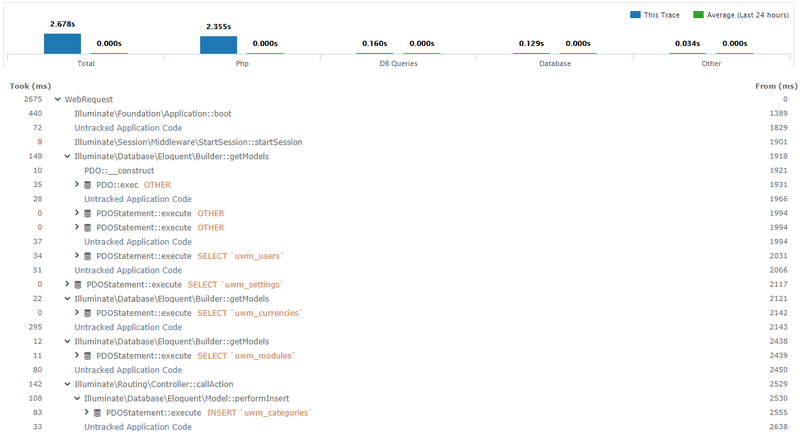 Models allow data querying in your tables, as well as inserting new records into tables. The process of synchronizing multiple databases running on different systems is simplified. There is no need to write SQL queries at all. All you have to do is to define database tables and relations between them, and Eloquent will do the rest of the job. Artisan Console is the name of the command-line interface packaged with Laravel. It provides a number of helpful commands to be used during the development of your application. It is driven by the powerful Symfony Console component. This will undo all your migrations. Many get confused with seeders but it is simply a class that populates your database. The good thing with seeders is that they can be executed using a simple command to refresh your database. It helps in eradicating unreadable names such as “hjkahdkajshfkjsd” that may lead to overlooking some bugs. In the text editor, under the seeds folder, open the newly created file with filename: StudentsRecordSeeder.php. As you can see, this is just a very simple class with a single method called run(). The code is just a wrapper around a Console Command class, made specifically to help with the seeding task. Modify the code and then save it. Here you can keep deleting, adding, editing entries while you work, and then reset them with a simple command. CRUD operations under the Eloquent object-relational mapper (ORM) make it easier for Laravel developers to work with multiple databases. It performs create, retrieve, update, and delete (CRUD) operations, as well as maps object models to database tables. It handles all the database interaction required for CRUD operations. You can use the ::create method to insert a new record in the database. Aside from the simple create method shown above, you can also create a new object and assign different attributes to it. Then, you can call the save() function and execute the code. Methods such as firstOrCreate() or firstOrNew() are other options for creating records. These will enable finding a student with certain attributes; if that student is not found, then you will either create it in the database or instantiate a new instance. Also, as shown below, the code describes to find a student based on specific attribute. For the get() method, this code shows how to find a student with a rank level greater than 5. Updating records using Eloquent is as easy. To update a record, just find the record you would like to update, change the attributes, and save. For example, to change the student rank level of John Doe to 5, first find the student and then execute the save method. The save method may also be used to update models that already exist in the database. Please note that the parameters of destroy are primary keys only unlike the delete method which can accept any database column. To find and delete all students with rank level that is greater than 10. Writing a web application in PHP, developers have the option to choose from a rich list of PHP frameworks. 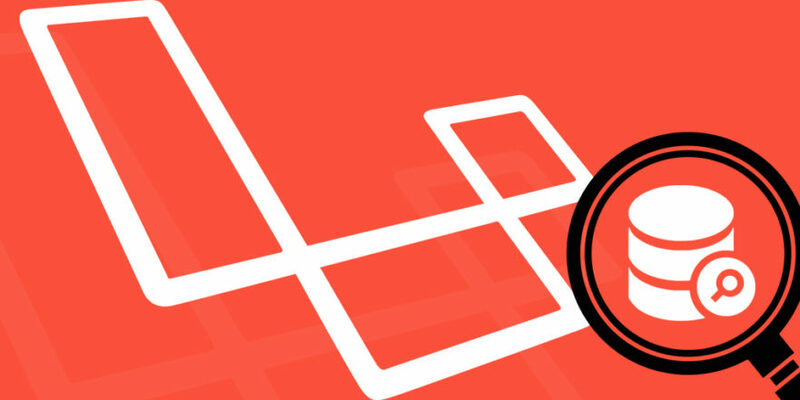 The ongoing demand combined with several usage statistics posted from communities suggest that Laravel is currently more popular than other PHP frameworks. However, seasoned web developers never choose a PHP framework based on its popularity or hype. There are pros and cons to consider. A lot of developers tend to downplay the popularity of PHP, but keep in mind that you must choose a PHP framework that fits all the project requirements. Also as a developer, it is important to use a PHP framework, as Laravel helps you reduce web application development cost. The robust features and tools provided by Eloquent inside Laravel make it easier for developers to build custom web applications following specified business requirements. This article has given you a primer on how to use the basic features of Eloquent ORM. Keep in mind that some features often impact the performance of any Laravel application. Hence you have to implement a number of performance optimization techniques to boost the application’s speed and user experience. But Laravel has been evolving consistently to meet emerging web application development trends. You can always accelerate custom web application development by using the new features and enhancements included in the latest version of Laravel. Learn more about Eloquent and Laravel through its detailed documentation. In a very competitive world of custom web applications, the health and well-being of the application are synonymous with business. This article discussed how Eloquent efficiently provide an effortless way to communicate with a database. The SQL queries from your application to the database are very critical. For example, a company may have a standard concerning the SQL query execution time. If a query is above 50 ms and according to their standard that is considered a slow query then a developer needs to perform optimization of the query as soon as possible. Time is very critical in this scenario, so a developer needs help in finding where and what causes the slow query. Thus Retrace can truly help developers by answering the where and what questions. Slow queries can be tracked in milliseconds under the Took (ms) column and each duration is accompanied by the Web Requests. Thus when a slow query is detected, its corresponding attributes are directly pinpointed. PHP is a powerful language. Laravel is considered a famous and robust PHP framework. Laravel with Eloquent provides competitive technology for web applications. Also Retrace is a powerful tool for tracing performance of applications built in PHP. It provides an efficient way of tracking SQL queries. Not just tracking, but providing information on specific queries provides a lot more help to developers. Sign up for a free trial and start using Retrace today! The Stackify blog provides articles that will help you with PHP and performance tuning that might be helpful in your PHP applications.